Stealth Auto Pedal Kits - Dezod Motorsports Inc - Home of the automotive performance enthusiast since 2002. 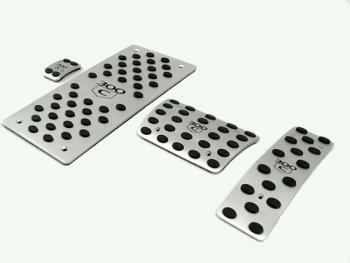 Stealth Auto Pedal Kits make a stylish addition to your ride and keep your feet where they belong, on the pedals! Complete with installation hardware! Easy to install and guaranteed for life!